1. It's built on what used to be a farm. 2. It's the first distillery to be built in the Islay in 125 years! 3. 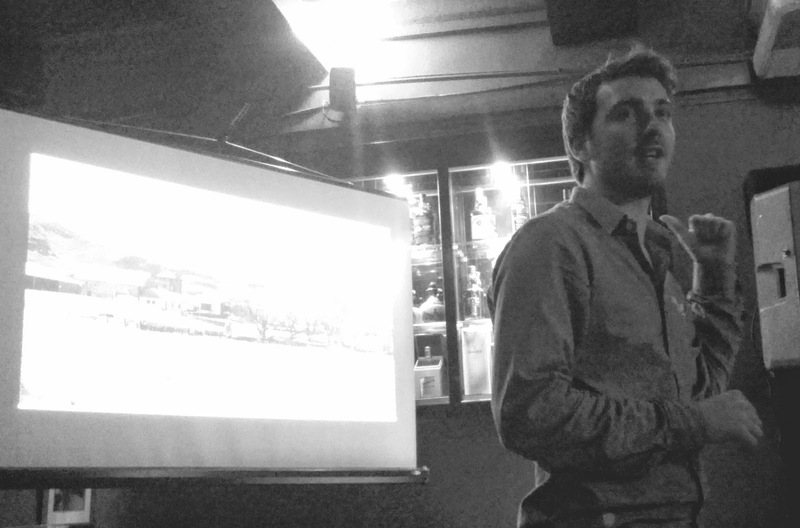 Founders of the distillery were originally independent bottlers. 4. It is an independent distillery, ie, not own by any of the big conglomerates. It is also very small so their production is a fraction of the bigger boys. On a yearly basis, most of their expressions are limited, and released by vintages. 5. The distillery actually ran out of money prior to production of their first bottle. Thank goodness it found its feet back. The tasting mat - with all the geeky stuff for your reading pleasure. I seriously need to take better pictures. 6. It is 1 out of only 6 distilleries that practices "floor malting". Ie, laying out the barley on the floor to dry. 7. It is practically the only distillery in Islay that can produce their whisky 100% in-house - eg, growing own barley, malting it, distilling, maturing and bottling. Most companies outsource half of these processes out. 8. One of the owners has all his 3 sons (yup, Peter's dad) working in the distillery, cute huh? 9. While 30% of the malt is grown and produced in-house, the balance is purchased from Port Ellen (a closed distillery which still sells its maltings). 10. Casks used are Bourbon and Oloroso sherry casks. 11. All their whiskies are non-chilled filtered and no additional colours are added. So if one bottle's colour is different from another, don't panic. 3 expressions will be brought into Malaysia, and these were also the ones we sampled that night. Let's talk about it! It is 100% made in the distillery, from growing the barley to bottling it. If I heard it right, this is 4-5 years old, matured fully in bourbon casks. This expression is limited, and is only produced only once a year. It's in its 4th release now. Among all 3 this has the lightest peat. It is light, fruity and sweet. Even the scent is sweet! Almost like a Speyside, with a bit of peat. The peat is only obvious at the end, but not distracting. Trust me, I'm someone who is not fond of peat, this was absolutely fine by my palate and easily my favourite among the 3. Named after the bay near the distillery, it's made from whiskies aged 4-5 years old, matured in both Bourbon and sherry casks. Every year it matures, we'll see another release, yeay! 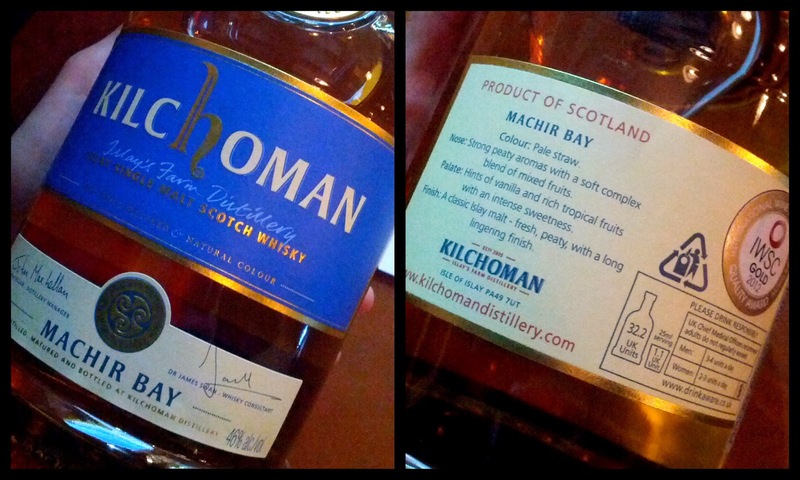 The Machir Bay range is Kilchoman’s core expression, first launched in 2012 when it won the prestigious IWSC 2012 Gold Award – Best in Class. 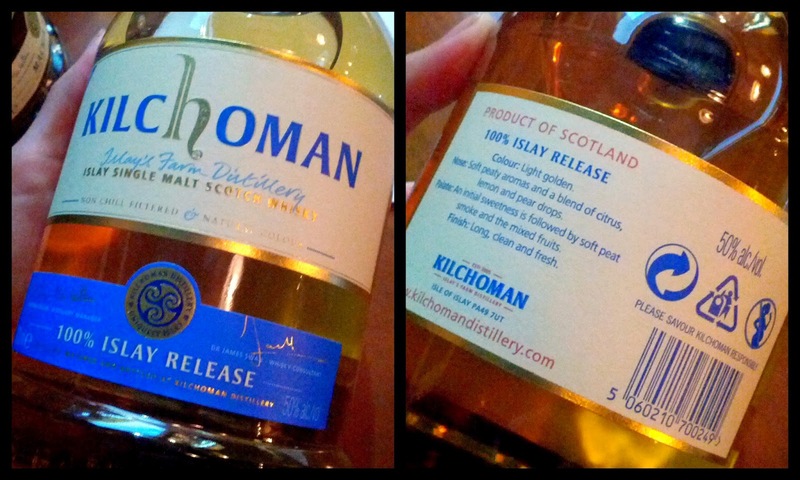 Bottled once a year, each release contains more mature casks allowing Kilchoman fans to follow the development of the unique Kilchoman malt as it matures. Matured in a combination of both bourbon and sherry casks, Machir Bay has a well-balanced combination of rich tropical fruit, peat smoke, light vanilla and intense sweetness. This has a little more peat than the 100%. Still, its peat is nothing close to the peat monsters (eg: Lagavulin and Laphroaig which I'm actually afraid of lol). Spicy and dry (definitely from the sherry), but still retaining its sweetness. It is nice! Named after a nearby "loch", which is supposedly famous for its peat. It's matured at least 5 years fully in sherry casks. Like the Machir Bay, we'll see a new release with every year it matures, double yeay! 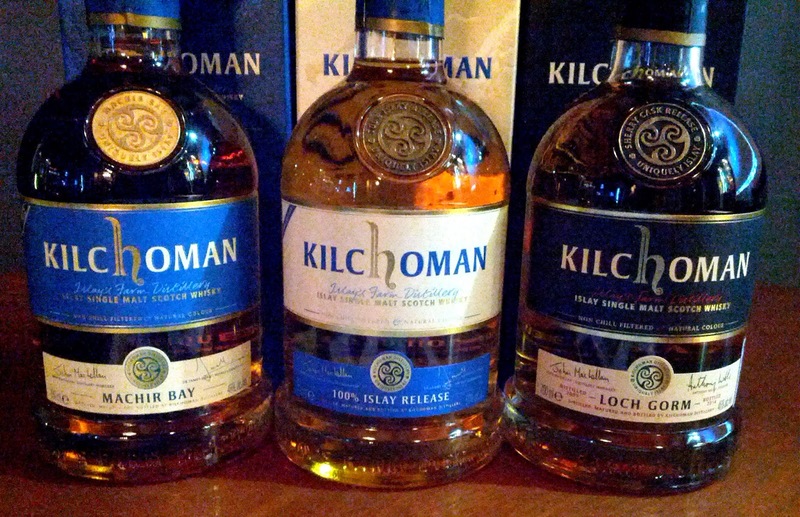 Named after a famously peaty loch at the end of the Kilchoman drive, Loch Gorm is the only fully ex-sherry cask matured release from Kilchoman. 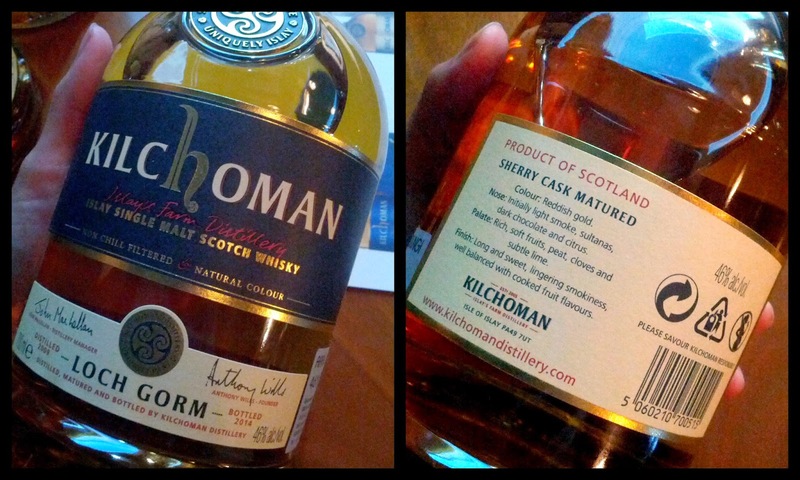 As with other ranges in our portfolio, Loch Gorm will be periodically re-released as a more mature expression. Each bottling will be differentiated by distillation and bottling years printed on the label. Loch Gorm combines rich sherry fruits and spices with smouldering peat, cloves and lingering sweetness. Spicier, richer and drier than the Machir Bay, yet still sweet. Most peat among the 3. I can see a lot of people liking this - especially if they have a tendency to like whisky matured in sherry casks. 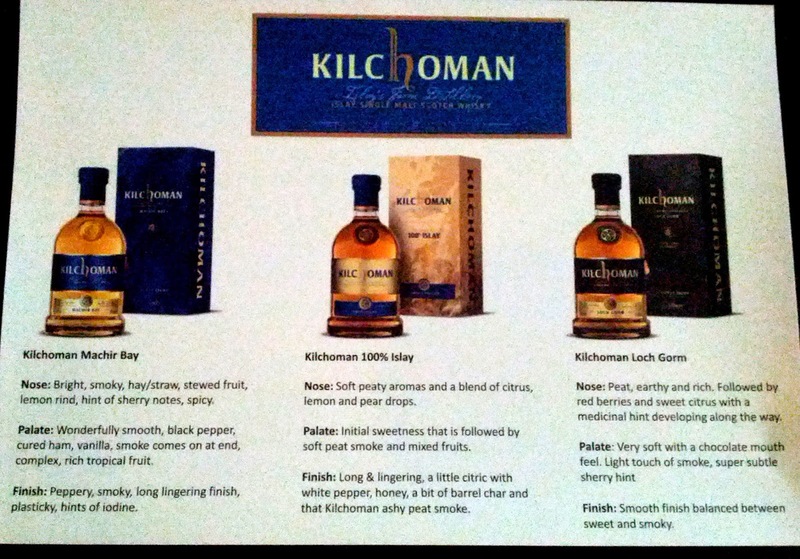 I like Kilchoman. It is a nice, fruity sweet whisky with just enough peat to remind you of its birth place. And this is coming from someone who doesn't like peat ya! The awesome thing is that the peat is not overpowering, but you cannot ignore that it's there. I can't believe that at so young an age (4-6 years old) they are already so flavourful and have quite a character. Can you imagine what they'll be like when they're all grown up? I can't wait!